Yes!!! I am going to participate on this journey. Here is the link to to find out more in case you would also like to join in on the fun. I loved and enjoyed making the 12 tags of Christmas in December 2011 I had learned a lot of cool techniques. 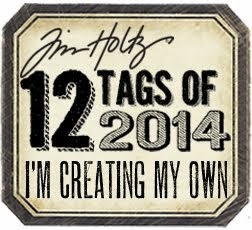 I will be posting each tag to keep you up to date.